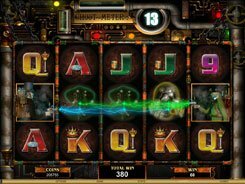 Goblin’s Gold from Microgaming represents an old-school slot with three reels and three paylines. 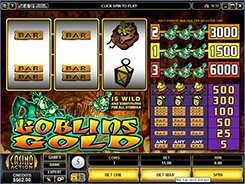 As most developer’s games, Goblin’s Gold has a themed twist, and this time the slot features a cave as a background image and an eery goblin protecting his riches. 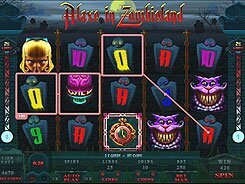 The symbols set includes classical bars, a lantern, a gold bag and a goblin’s head. 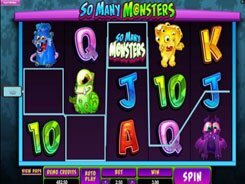 The bet size comes in a range of $0.25 to $15 per spin, and you may enable one, two or three paylines betting the maximum of $5 per each. 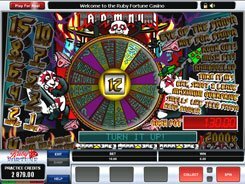 Payouts are awarded for three matching symbols on an active payline with bars being the only exception, since the bar symbol can create mixed combos, e.g., two double bars plus one triple bar. The most rewarding combo is created by three goblin’s head symbols paying off 1500, 3000 or 6000 coins. 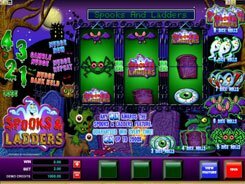 To get the highest award you have to play at max coins, as the top jackpot is granted for three goblin’s head landed across line 3. 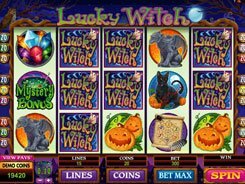 Therefore, high bettors stand the chance to win an eye-popping $30,000.